An AIADMK delegation will meet Election Commission officials in New Delhi on Friday to submit documents regarding the party’s two-leave symbol case. The meeting will come a day after the poll watchdog rejected a plea of sidelined AIADMK leader T T V Dinkaran to grant 15 days additional time to submit affidavits in the party symbol dispute case. Rejecting the plea, the EC added that the hearing regarding the plea would take place as scheduled on October 6. “The EC has rejected the request of T T V Dhinakaran for extension of time for submission of documents and hearing. Therefore, the hearing will held on October 6 as scheduled,” an official said. All the concerned parties in the matter directed to submit their documents on September 29 by a poll panel last week. Earlier this month, Madras High Court, in an order, had asked EC to settle the matter relating to the AIADMK symbol before October 31. In its order, the court had asked EC to decide which faction of the ruling party in the state enjoyed majority and allot the symbol to the party. The symbol was frozen by the election body after faction led by former chief minister O Panneerselvam and former AIADMK general secretary V K Sasikala had staked their claims. 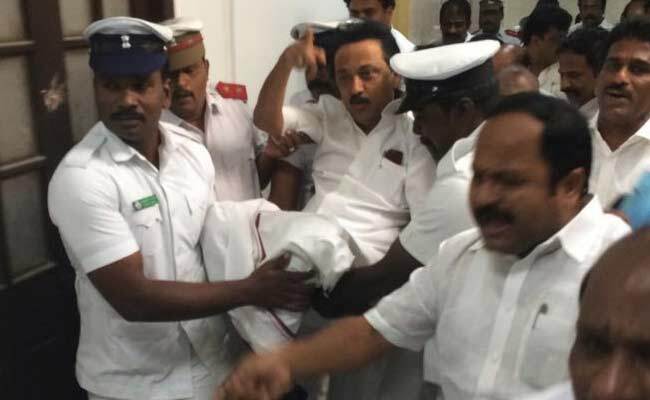 Later, a merger announced after a large group of legislators led by Chief Minister Edappadi Palaniswami revolted against Sasikala, who is in jail in a graft case. Representatives of Dinakaran met with EC officials on September 14 and urged to declared the general council meeting as invalid, citing a high court order saying the decision taken at the meeting will be subject to the final outcome in the appeal. Be the first to comment on "AIADMK delegation to submit documents regarding ‘two-leaves’ symbol case today"